What’s more precious than your own life? You get up in the morning; it’s the start of yet another day in your daily life. However, if you want to make it interesting, exciting, extract the best out of it and make those 24 hours go a long way then make believe that it’s your last day! Make every minute, every second, nay, every heartbeat count. Do things you’ve hesitated doing before. Go on, apologize to that dear friend with whom you haven’t spoken for quite some time now. Express your true feelings to your sweetheart. Give a hug to your children or grandchildren and tell them how much you love them. Wear that beautiful dress you’ve been saving for an occasion. Eat from your best crockery, drink from those crystal glasses that you’ve been maintaining for some grand party. What’s more precious than your own life? 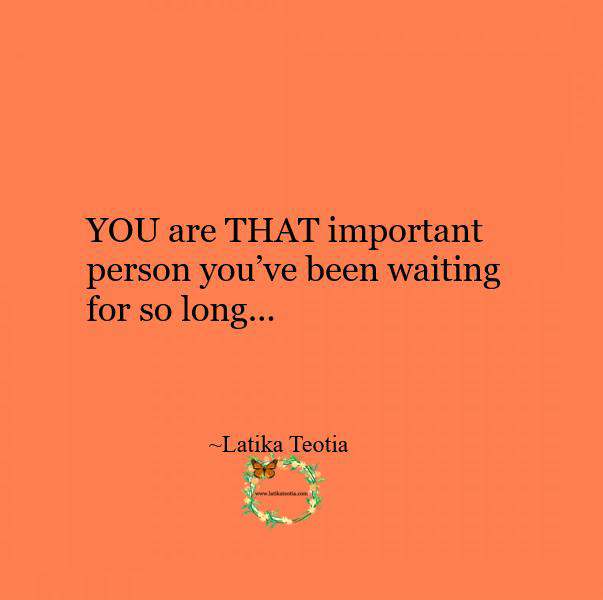 YOU are THAT important person you’ve been waiting for so long. Throw yourself a party, pamper your own self, tickle those taste buds and have a blast.